Billionaire Chilean President Sebastian Pinera's right-wing government said Monday it has set itself a target of expelling 2,000 illegal migrants from the country by the end of the year. The measure is part of a migration plan that the world's largest copper producer introduced to cope with the arrival of hundreds of thousands of migrants over the last four years. The expulsions will prioritize foreigners with criminal records, as well as those who did not take up a government offer to regularize their situation. "Effectively, by the end of the year, there will be around 2,000 expulsions from our country of foreigners who have committed crimes," said government spokeswoman Cecilia Perez. The first stage of the expulsions is aimed at people with criminal records. Next on the list are those serving prison time who face expulsion once they have purged their sentences, Perez said. Officials say those who didn't take part in the program may have a criminal record. "The doors are open to all those foreigners who come to contribute to our country, who want to have better opportunities in life. But not those who commit, or committed, crimes in their countries or who intend to come to commit a crime against us," said Perez. 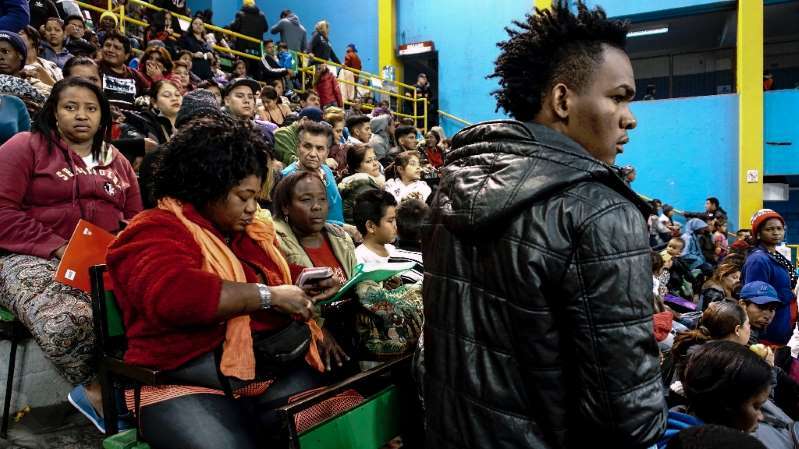 Over the past four years, Chile has become one of Latin America's top destinations for migrants, unveiling figures earlier this year that pointed to more than a million foreigners in the country, almost double the previous estimates. Around 300,000 of that number are thought to be living illegally in the country.